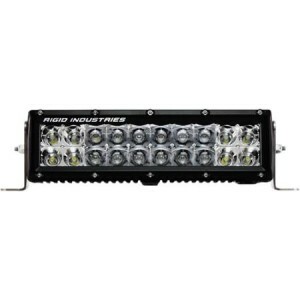 12 Inch LED light bars are able to produce large amounts of light. 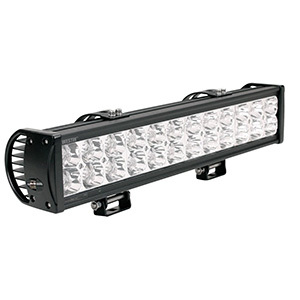 Put a couple of these bars on your vehicle, work site, or boat and you will have the best set of lights available. 12 inch models produce three times as much light compared to 4 inch LED bars and are still completely transportable. These are great lights when you need both portability, affordability, and maximum brightness. 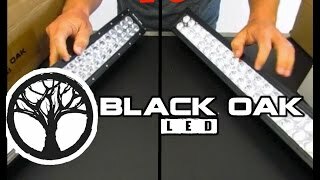 To show you some of the best models out there, here is a guide to the 3 best 12 inch LED light bars. 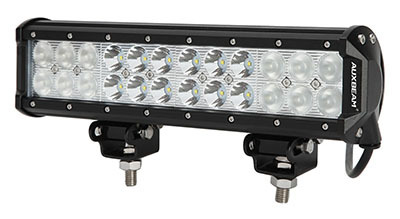 This Auxbeam 12 inch light bar contains 2 rows of Cree led lights. It comes in spot, flood, or combo light beam pattern. Its housing is made out of high quality die-cast aluminum, and comes with the mounting kit. This model is certified by CE and ROHs, and is sure to last over 30, 000 hours. This product comes in 24 pieces before it is assembled. This model able to withstand harsh weather conditions, use low power consumption, and still produce a high lumen output. It has advanced vertical fins designed to maximize heat dissipation, and has longer valid irradiation distance than halogen bulbs. The Auxbeam model is better in the fact that you get more lumen output, and is still affordable for any consumer. It is still decently easy to transport, but takes more time to set up and assemble. Overall, this model will give you what you are looking for. This model is up to the latest standards. Like most great LED light bars, it comes with aluminum housing to protect it from the elements, and has vertical fins on the back to max out on heat dissipation. These specifics are a good indicator to know you are getting a good product. This model is mostly used on 4x4s and other vehicles, but also can be used for mining, work site light, or fun equipment such as ATVs. The Eyourlife bar also comes with a set of mounting brackets that can be moved out to 9 inches. It is easy to install and assemble, is waterproof and anti-corrosive. Its light color is 6000k pure white, and the lens material in pc glass. 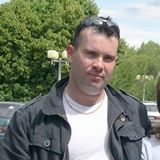 Eyourlife offers a great product that offers 20,000 lifetime hours more than other competitors. It is light, easy to assemble, durable, and reliable. This product is worth the money, and will leave you with an item you can enjoy for years. 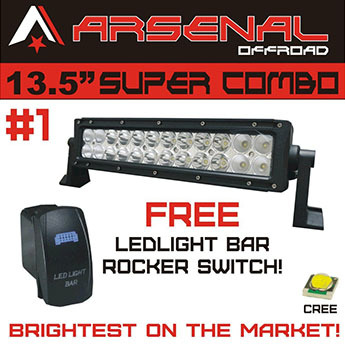 The Arsenal 12 inch led light bar consists of 72 watt USA high intensity LEDs with a color temperature of 6000k. It comes with a choice of combo, flood, or spot beam patterns allowing you to get the visibility you want. This product is known to be the brightest LED bar on the market. It has been ranked #1 against other top brand bars. Now you know you are looking at a worth-while item. This model comes with a free LED light bar rocker switch when you purchase it. It also comes with an 18 month warranty. 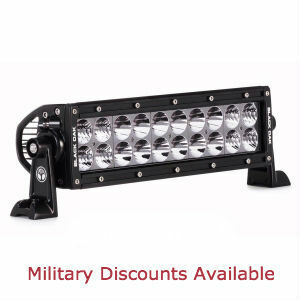 It is the best on the market and is easily affordable by anyone looking to buy an LED light bar. It is designed to cut power consumption and lower heat output. If you want the best that money can buy, then the 12 inch Arsenal light bar is for you. It has a sleek design that has amazing quality and long lasting life. It will not fail in the elements, and will last you many years to come. NiLite’s 72W 12-Inch combo beam light bar is a handy way to take advantage of high-tech LED lighting in a variety of situations. Weighing just two pounds and measuring under 12 inches in length, it mounts easily on your vehicle, ATV, UTV, boat, truck, a tripod or even a motorcycle. 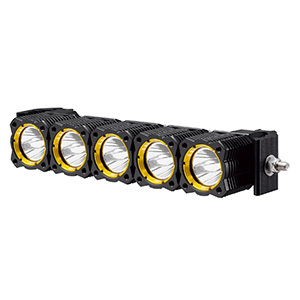 It features a 72W, 4790lm combo flood/spot beam from 24 high-intensity 3W LEDs protected by a robust polycarbonate lens and 6063 aluminum alloy housing with oversize cooling fins. Buy multiple lights to customize your lighting needs for recreation, the worksite, farming or indoor/outdoor lighting. 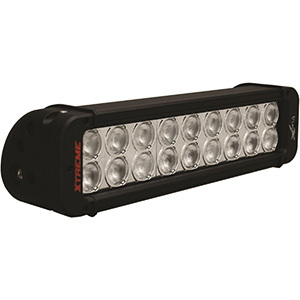 These lights are built tough and backed by a 2-year warranty. Note these are for off-road use only. Where to mount this light is limited only by your imagination. The generously slotted adjustment plates make aiming easy. The post mounts permit fitting in shorter spaces than light bars with end brackets. At just over $20, you could buy these by the dozen. Properly installed, and perhaps with extra sealant around the lens, these should last many years, especially for indoor lighting. Overall, 12 inch LED light bars offer a more reliable solution to seeing at night. With more than twice as many light compared to smaller models, it is easy to see why the 12 inch size is a popular type. These are three of the best 12 inch bars on the market today. Be sure to check out companies such as Auxbeam and Arsenal to get a product fitting for your needs.